The Internet was the leading source of franchise sales in 2013, at 42 percent. Franchise sales generated through social media increased year-over-year by 267 percent. Forty percent of franchise sales through social media originated from LinkedIn. Even with franchise sales that you can’t source back to the Internet, you can safely assume that a vast majority of candidates will research your franchise system online either before or during their decision making process. One of the best platforms to perform this research is LinkedIn: a professional, career-oriented social platform where people can easily investigate businesses and their employees. The takeaway: LinkedIn can have a huge impact on your ability to generate franchise leads and convert prospective buyers into new owners. Whether or not that impact is positive or negative is completely up to you. 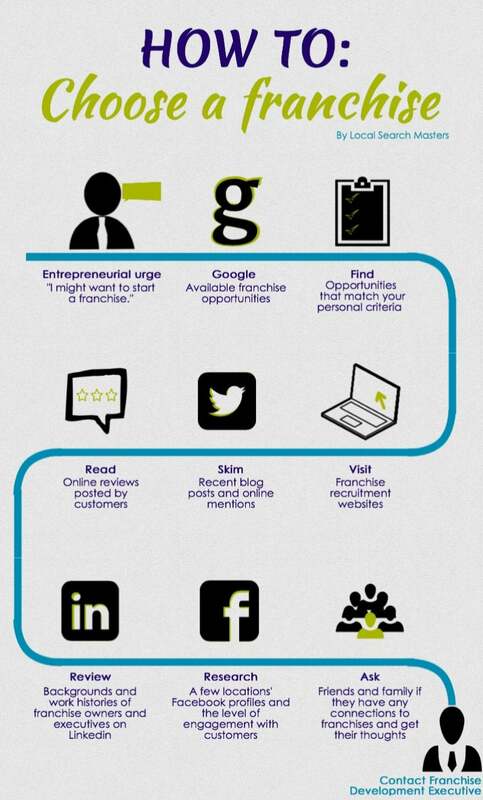 Below are 11 ways you can utilize LinkedIn to support your franchise development efforts. 1. Competitors. Review your competitors’ LinkedIn company profiles, as well as a few personal profiles of affiliated franchise executives. This helps you better understand how they’re positioning themselves toward your target audience. Take notes on their pictures, updates, file attachments, listed specialties and the bragging points mentioned in their descriptions. 2. Persuasive profiles. Analyze your notes and proceed to optimize your franchisor’s company profile and your personal profile. The best way to optimize your profiles is simple: fill out each applicable section with the required content and don’t do a half-assed job! For example: be sure to list any non-profit organizations that your brand supports under your personal profile’s, “Volunteer Experiences & Causes,” section. You never know if a certain charitable affiliation will resonate with someone and increase his or her likelihood of reaching out. 3. Showcase. Develop a showcase page that focuses on your franchise opportunity. 4. Update. On your company profile and franchise opportunity showcase page: regularly post educational, informative content about your franchise system and any good press that your brand receives. This will increase the longevity of your exemplary content on one of the top websites people will visit when researching your franchise opportunity. Good examples of content to post: mentions in the media, market expansion, new location openings, awards and recognitions, franchisee testimonials, charitable activities and exposition attendance. 5.Sharing. Encourage your employees to share these posted updates via their personal profiles. This will maximize your informative updates’ exposure and help keep your brand top of mind with employees’ friends and business connections: people that are historically excellent referral candidates. 6. Audience focus. Use sponsored updates to cost-effectively maximize certain post’s visibility. You can target people based on parameters such as location, work experience, current job title, age, skills and educational background. For example: Childrens Lighthouse was opening up new locations in San Antonio and had an article about their expansion plans in the San Antonio Business Journal. They could have posted an update on their company profile about this piece with a link to the article, and sponsored that update so it only appeared to people above the age of 35 and located within the greater San Antonio area. 7. Know you prospects. Review your prospective buyers’ profiles on LinkedIn. The better you know them, the easier it will be to connect on an emotional level and appropriately position your franchise opportunity. 8. Reach out. Review your current company’s follower base and look for people who fit the mold of an ideal franchisee or are living in markets where you’re expanding. Reach out to them. Even if they aren’t good fits, they might know someone who is. 9. Engage. Regularly engage in LinkedIn Groups populated by people who are likely to be good lead candidates. 10. Upgrade. Purchase one of LinkedIn’s premium packages to get more access to people’s personal profile information, as well as InMail messaging, which allows people to send messages to almost anyone with a LinkedIn profile, regardless of whether or not they’re connected. 11. Metrics. Set up conversion goals in your Google Analytics account to help track the amount of web leads you receive that originate from LinkedIn. Though its overall value is intangible, LinkedIn is an excellent platform for supporting your franchise development efforts. For additional best practices, you can visit this article.